Posted May 14, 2013 by Eric Graham . How often do you search for something on the Internet? My guess is that you did it more than once today. In fact, I bet you used a search of some sort to find this article. There’s a reason Google, Bing and Yahoo have so much power on the internet today. People are curious. The great thing about the Internet is that if you really want to find something, it’s right there for the taking- but if you’re the one wanting to be found, you’re facing an uphill battle that’s difficult to win. There are billions of pages out there, and it takes skill and understanding of SEO to help you stand out. This article is the beginning of a series of informational articles to help explain SEO in terms that you can understand. We’re going to delve into all the detailed aspects of SEO in future articles, but to start, we want to define keywords and describe why SEO is so much more than adding keywords to your site. 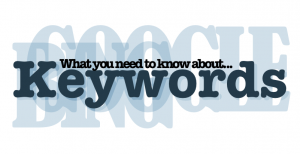 Keywords are the lifeblood of SEO. They are the primary tool you can use to help a prospective customer or client find your product, service or company. One thing you have to realize is that keywords are everywhere. Think about your local supermarket. How do you find where the Ranch dressing is? Do you look at the aisle signs to find it? Those are specifically selected keywords based on extensive research to find general categories to classify thousands of items. Sports are also full of keywords- most of them so specific that only the experts understand them. If you know what Defense-Independent Component ERA is, our hats are off to you. Every sport has specific terms that define an action or what creates a positive or negative result. SEO uses these keywords to optimize your site or your paid search campaign to make it easier to find you. They can use broad match terms (like the aisle signs in the supermarket) that cater to a large audience, or long-tail keywords (just like detailed sports statistics) to make sure you’re visible to that select group that wants exactly what you offer. By using a mixture of both types of keywords based on detailed research, you have the building blocks to implement a successful SEO strategy. Now that you have an understanding of what keywords are, let’s talk about some of the things about SEO that might be a little misunderstood. The most important thing to realize is that successful SEO is hard work. Most people think that’s it’s easy- you pick a few keywords, put them on your site somewhere, and then sit back and wait for the money to roll in. The fact is, keywords are just the basics. There are several different items that need to be researched, analyzed and maintained to ensure you get the results you want. 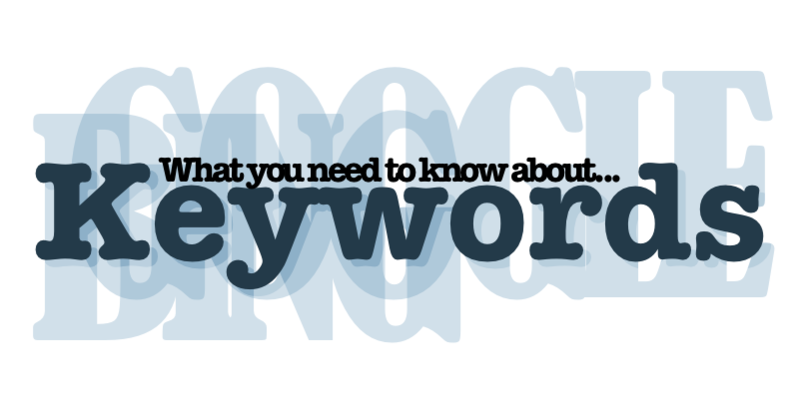 Do Keyword Research – Rule #1- try not to pick keywords that you think people will use. Say you’re an auto shop, and one keyword you picked is ‘auto repair’. By doing extensive keyword research, you might find out that people are searching for ‘car repair’ or ‘oil changes’ twice as often as ‘auto repair’! By using the information gathered from trusted sources, historical data, and trends, you set your site up for success. If the meta data is missing, then the search engines and potential visitors can’t figure out why they should click on your site! It’s a critical piece of SEO. Link Early and Often– Linking between pages and creating logical paths from another site to your site is another powerful tool. It makes your site easier to use, and leads people to what they are looking for or what you would like them to do.If you want someone to schedule an appointment, you should have a link on your services page, to your appointments page. If you write a blog about repair, have it link to your services page and your appointments page. You build SEO value by creating these paths- and your visitors will have an easy time finding exactly what they need. Use Social Media – Facebook, Twitter, YouTube, Google+ and other conversations about your site and content are becoming more and more important in search engine results. These conversations create quality links back to your site that are valued by every search engine. Use it regularly- it will help your site move up in the rankings. Be Patient – SEO doesn’t happen overnight. Although some results show up immediately, it takes strategy, planning and implementation to create organic traffic, see consistent positive results, and maintain them. As you can see, SEO might not be as easy as some people say it is, but if you have all these items in place and you update them regularly, you’re on your way to consistent, positive results for years to come. Do you have questions about the SEO on your site? Contact AMG today for a free assessment of your SEO strategy. OUr team will create a comprehensive marketing plan for your small business. Thank you for taking the time to explain some of these confusing terms, it really helps. Things can get really confusing in the world of SEO. Glad I could help get some clarity for you! I would agree keyword research is the #1 step most people skip. You have to find long tail keywords that are more realistic. Patience is key as well!